If you’re looking for something fast and sleek, then stop by Island Mazda near Jackson Heights, NJ to check out the luxury 2017 Mazda MX-5 Miata RF. Mazda’s dedicated team of engineers worked tirelessly to produce a fastback roof that was both beautiful and functional. It had to move quickly and elegantly while complementing the silhouette of this sleek and mysterious roadster. After countless rounds of trial and error, Mazda’s team developed a truly innovative, power-folding fastback roof that operates seamlessly in about 13 seconds. How do you fit a rigid hardtop into a space just big enough for folding cloth-top? After considering several methods, some as dramatic as splitting the roof into seven parts, Mazda’s fearless engineers came up with a function yet beautiful solution. They used the previous generation hardtop structure but redesigned each linkage to make it as rigid as possible. The result is a mechanism that both quiet and efficient. 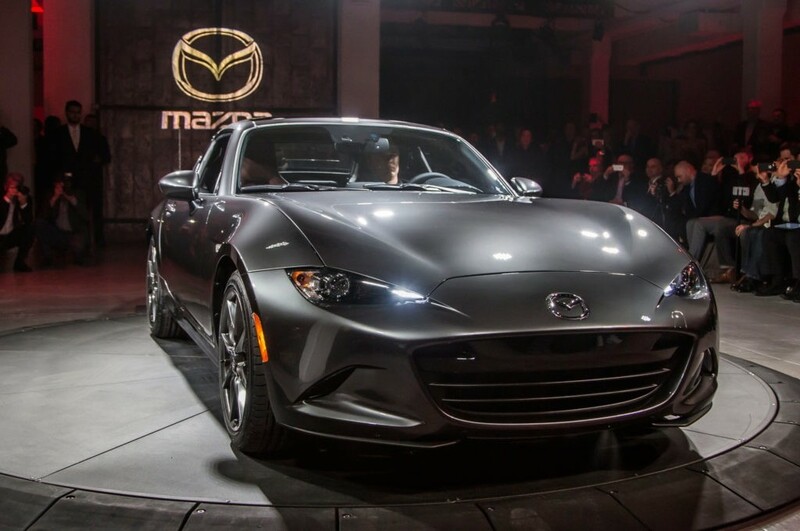 Act fast like the 2017 Mazda MX-5 Miata RF and contact Island Mazda near Jackson Heights, NJ.